Zap2It’s Kate O’Hare has interviewed Howard Gordon about appearing on the first episode of 24 Inside. 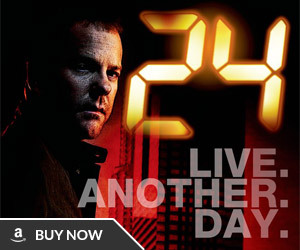 Next Tuesday, Jan. 27, American fans of FOX’s hour-by-hour drama “24” will get to experience what U.K. fans already know — you always hurt the one you love. Inspired by a British show called “Pure 24,” which aired after each “24” episode on BBC3, FOX is premiering “24inside,” a live Web show presented from 10-10:15 p.m. ET, right after the Eastern-time-zone airing of the night’s new episode (there will be spoiler warnings). The Web address is www.24inside.com/index.htm. 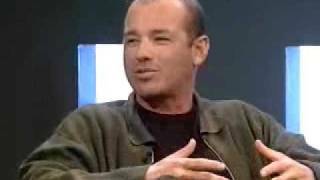 Like “Pure 24,” “24inside” features guests from the show, along with fans expressing opinions and asking questions in the studio audience and via phone and e-mail. “It’s that uniquely British, ironic ability to lambaste something and love it at the same time,” says “24” executive producer Howard Gordon. He and series recurring star Penny Johnson Jerald, who plays Sherry Palmer, the devious ex-wife of U.S. President Palmer (Dennis Haysbert), are the guests for the first installment. In the past, Gordon has gotten himself into trouble by revealing a bit too much of upcoming plot points. He’s very pleased to be sharing the stage with Jerald, whose Machiavellian character has resonated strongly with fans. 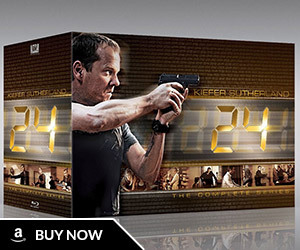 Currently in its third season, “24” has managed to maintain its original mandate of stretching one day over an entire 24-episode season. 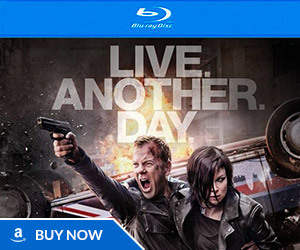 As with previous seasons, the plot follows Agent Jack Bauer (Kiefer Sutherland) of the Los Angeles-based Counter Terrorist Unit as he tries to avert a national crisis. Season one was the attempted assassination of Palmer when he was still a candidate; season two was the threatened detonation of a nuclear bomb. This season is something about a deadly engineered virus and some drug dealers in Mexico and international terrorists and Jack’s new partner — and Jack’s heroin addiction — and all sorts of family issues at CTU HQ and in Palmer’s inner circle. “We’ve done something different than in past years,” Gordon says. “The story is more intricate, it’s got a different feel, yet it has the intensity and the complexity that both initial seasons have. You really have to pay attention.